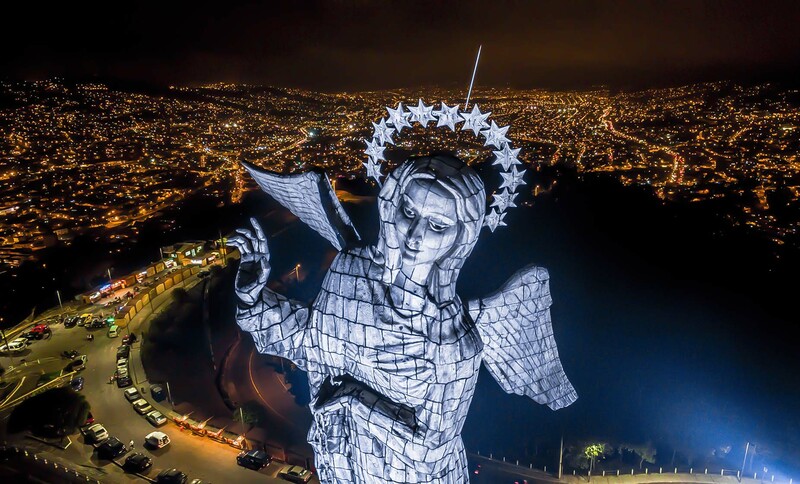 The statue of Panecillo’s Virgin, World Heritage site, is located on the Panecillo hill, just outside the city center of Quito (Ecuador) and represents the city from the 18th century. 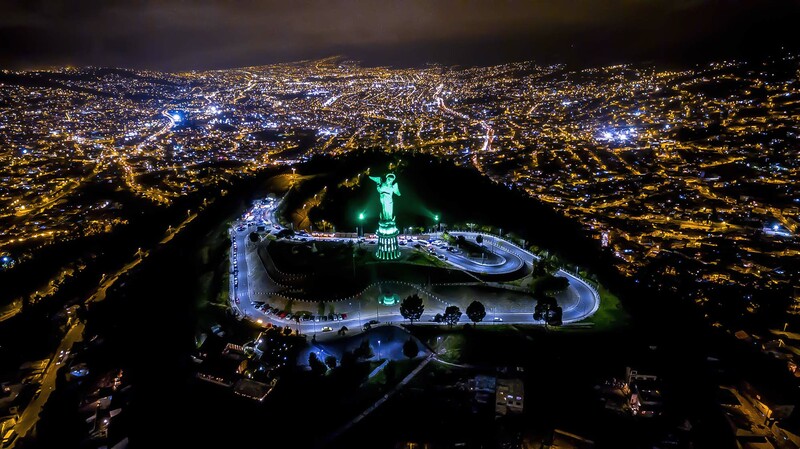 Last October the municipality, according to the MTE (Empresa Mantenimiento Técnico Especializado) and the electrical enterprise of the city required a dedicated lighting project. 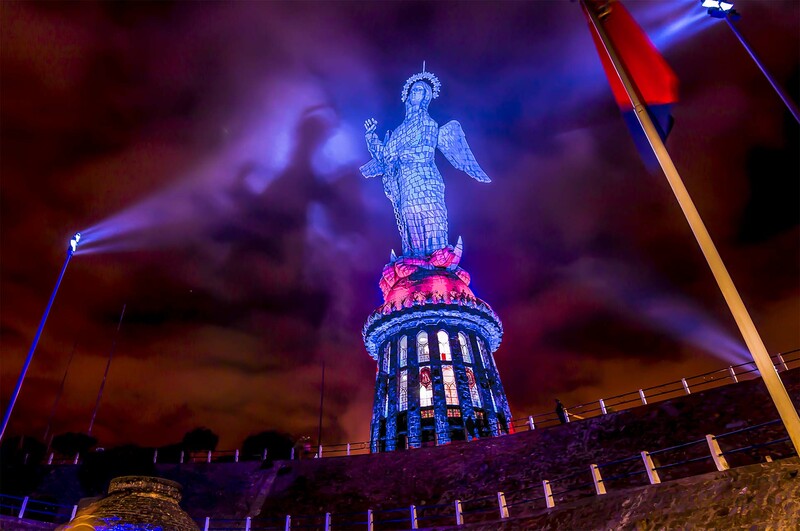 “The virgin statue is an austere and imposing monument but the request was to have a dynamic lighting design. The Quito Municipality has commissioned the project knowing that the installation dimensions required careful study, and indeed the projectors had to be placed at a distance of 50/60 metres from the surface to light. That’s why we chose to use the DELTA 12 FC: they were able to deliver all the power we needed, thanks to their 48 Ostar RGBW LEDs. We chose narrow optics and the result was excellent. The DELTAs fully met our needs, in terms of reliability, robustness, efficiency and luminosity. 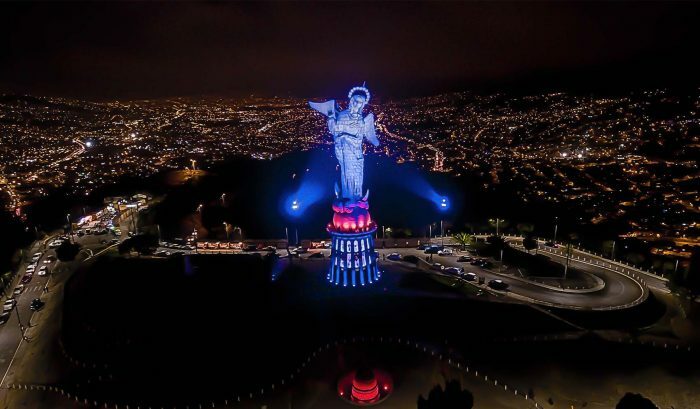 The Virgin, also known as Virgin of Quito, was built in honour of the Virgin Mary by a group of artists from the Escuela Quiteña in the 18th century. 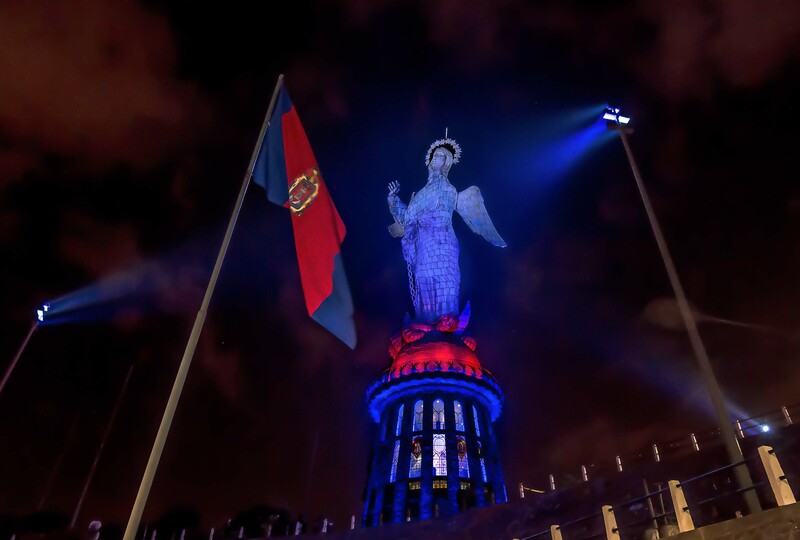 30 meters high (11 more considering the base) it is one of the world’s tallest statues and undisputed emblem of the city of Quito. “The Virgin” continue Miguel “is one of the main tourist destinations and it was therefore important to light it with a modern and low power consumption lighting system so as to make it stand out even better as tourist icon, even overnight.